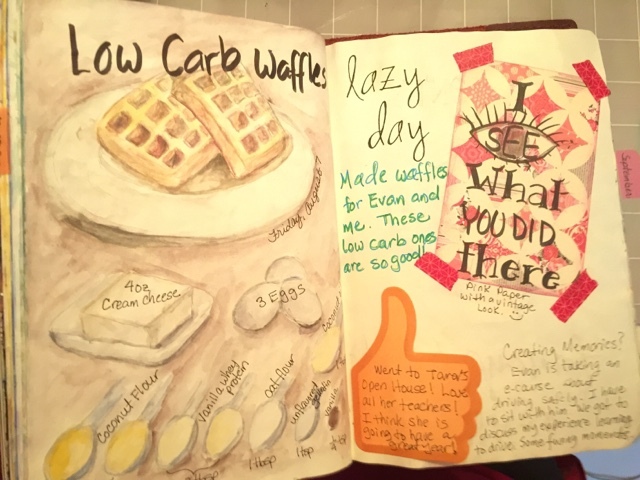 It was a process I started over a year ago, to document my daily life. 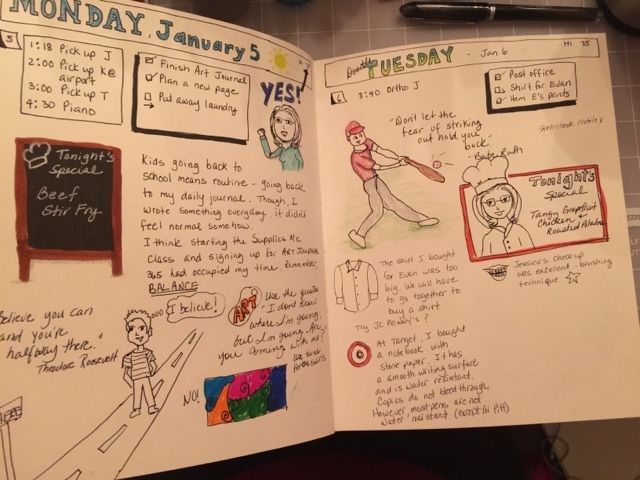 At first, it was a excuse to practice drawing and to use it as a planner because I was losing track of things. And never did I anticipate how much this process would impact me in a positive way. What you see above is photo of my daily life, documented almost daily. And though my life is anything but exciting, I enjoyed looking back reading snippets of what was happening, how I was feeling, and what I was thinking. 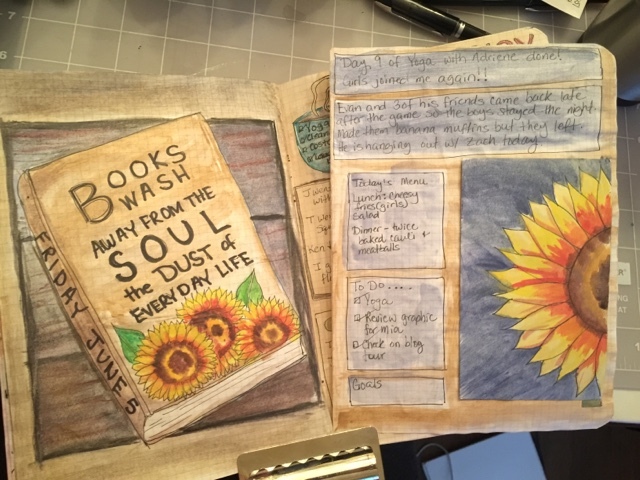 I started the year using a Strathmore Mixed Media journal (the one I use for art journaling). The paper takes both dry and wet media well, but these are not cheap. As you can see, 2015 began with a couple of heartbreaking news, but I'm glad I got to document them. 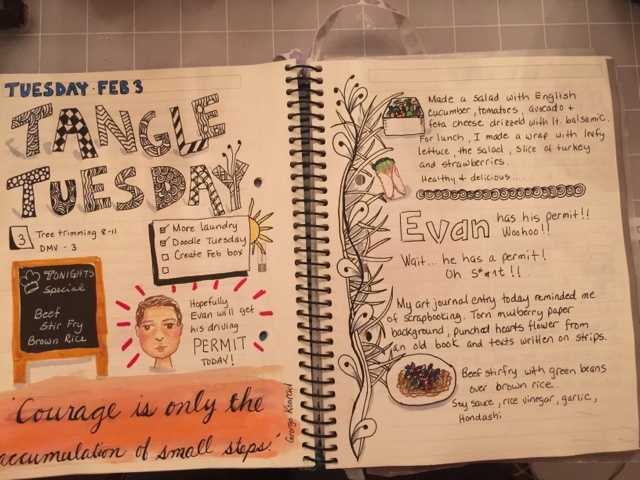 I was learning how to Sketchnote at the time and I got to practice drawing icons and little doodles. 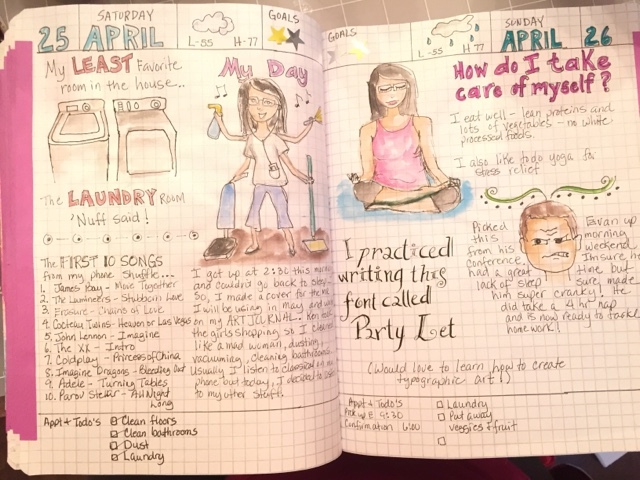 And I finally had a place to write down my schedule, my to-do's and document the day. 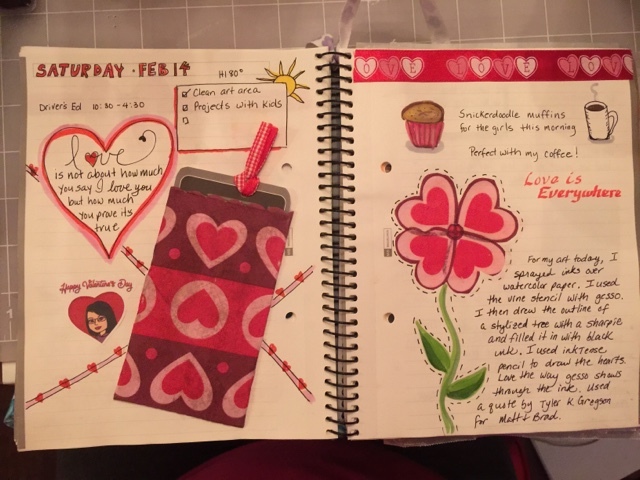 Though I loved using this journal, I realized how expensive it would be to use it everyday, but I found a notebook at Target that looked intriguing using stone paper. The claim was that nothing will bleed through and it was completely waterproof! And with the price being under $10, it was economical too. 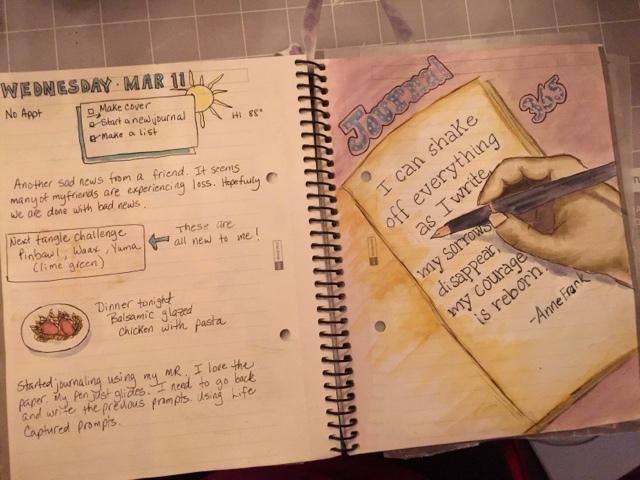 It was also around this time when I joined a group on Facebook doing this type of journaling. 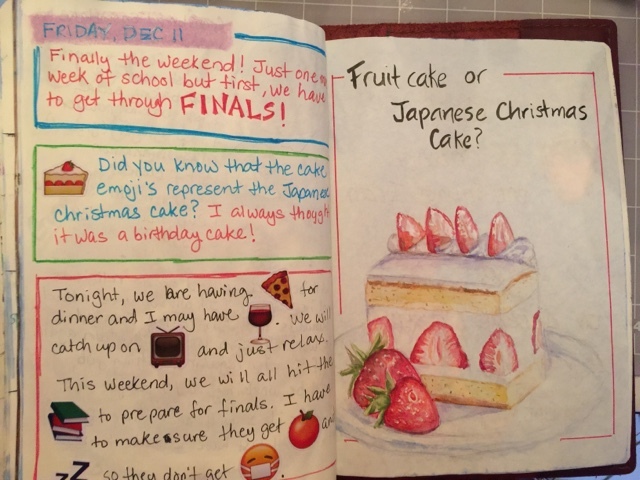 They called it Fauxbonichi, which is a play on Hobonichi, which is a Japanese daily journal. The stone paper was amazing. I could even use alcohol markers like Copics and no bleed through! The only negative was that it was difficult to find a black pen that would not smear. And even though each sheet was pretty thin, you can glue things and add tip-in's and the paper held up. And in March, the Fauxbo group had an ABC challenge, to draw something everyday starting with the letter A and going all the way to Z. 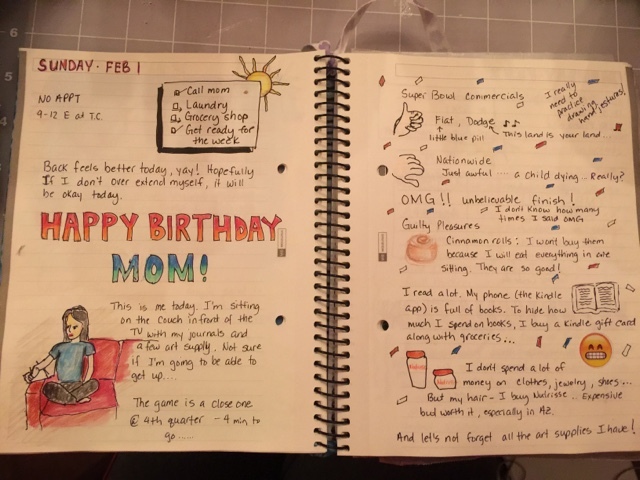 And though I loved this notebook, I felt that I wasn't focusing on my goals (did you see yesterday's post?). And plus, I wanted to try the more traditional Fauxbo style, which just means using the Hobinich structure. 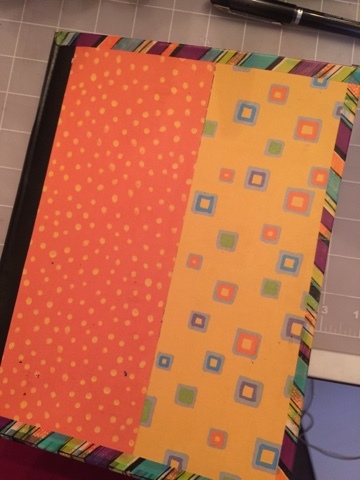 So I got a gridded composition book, decorated the cover, and pre-planned each day's page. I used a color coded star stickers to reward myself when Indid something towards my goals. And it seems childish, but they work! And this is also when I started my blog. I cannot thank my friend, Felicia, for nudging me to do it. I also had a couple of "online friends" who encouraged me too. But using only one page per day wasn't working for me. And I bought another journal that so popular among the members of the Fauxbonichi group. 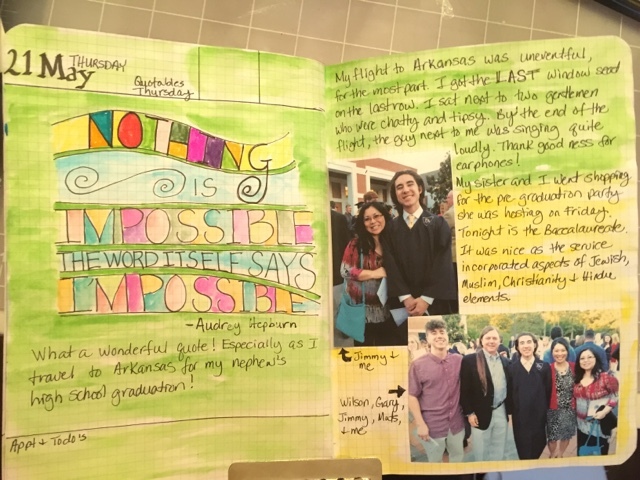 This is a thick journal and the paper is gridded and fairly nice. 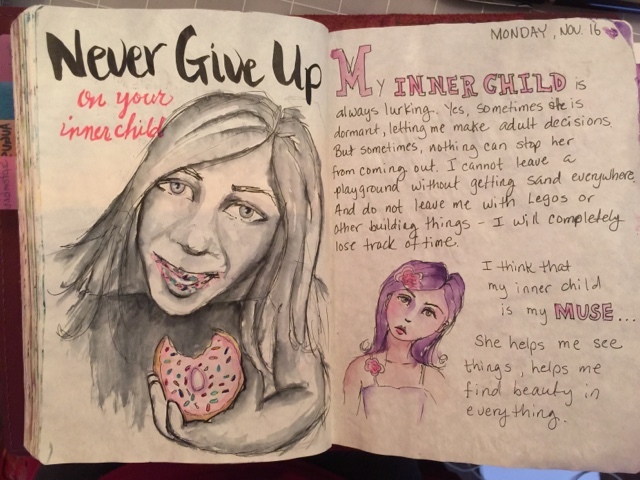 But you still had to double the pages of you wanted to use markers or watercolors. 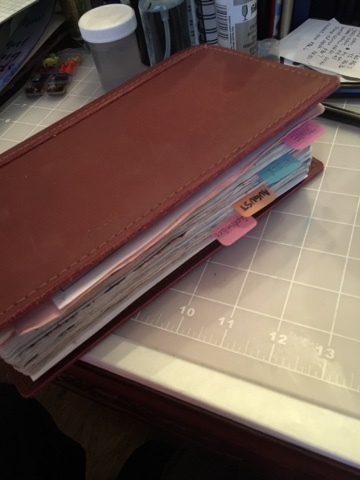 And I decided to glue the pages. 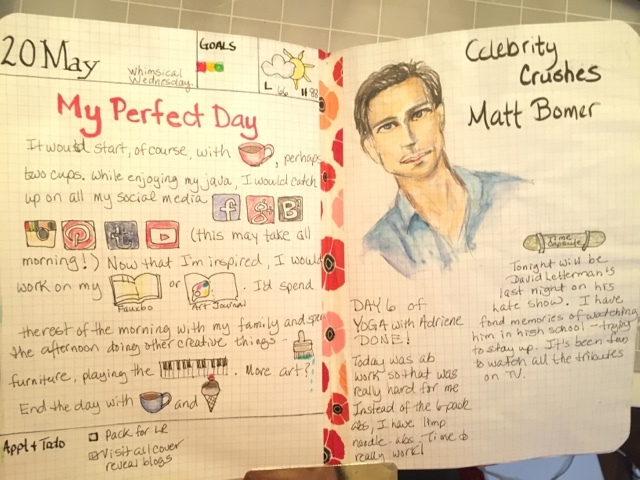 I loved having 2 pages per day! 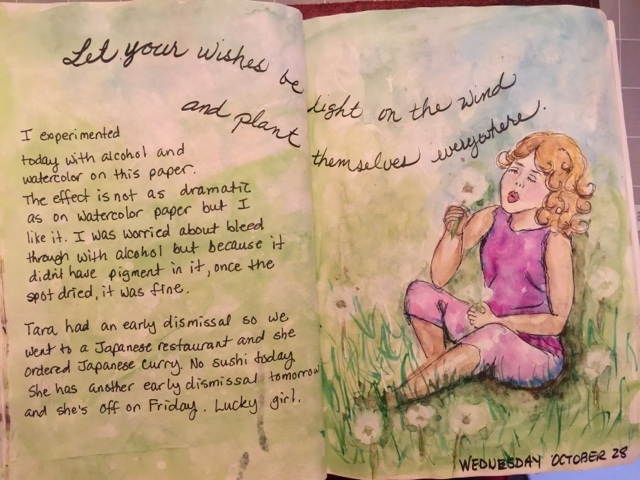 I bought Inktense pencils and loved using them. I started to use more colors. The pages started to come apart. 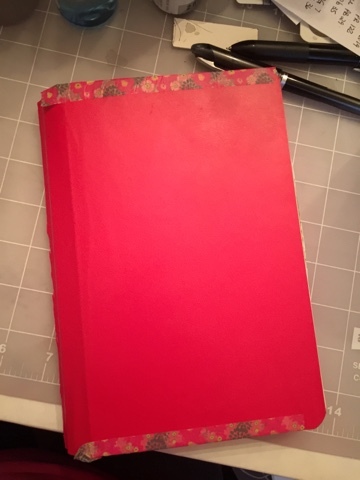 The binding on this journal is crappy, it's glued so sometimes the pages fall out from stress. 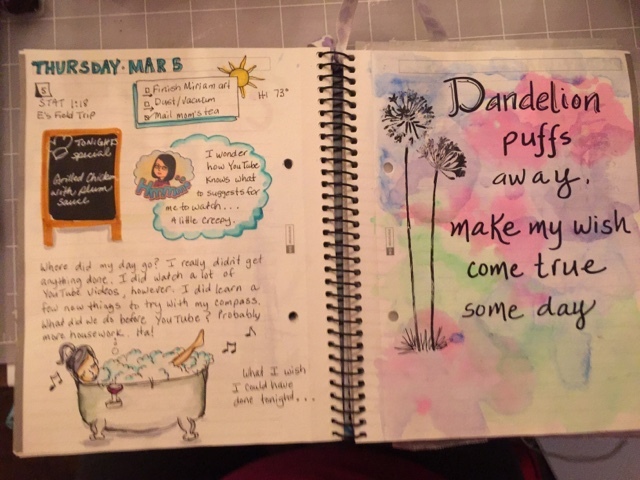 Because I glued two pages and used water media, the glue couldn't hold the pages together. 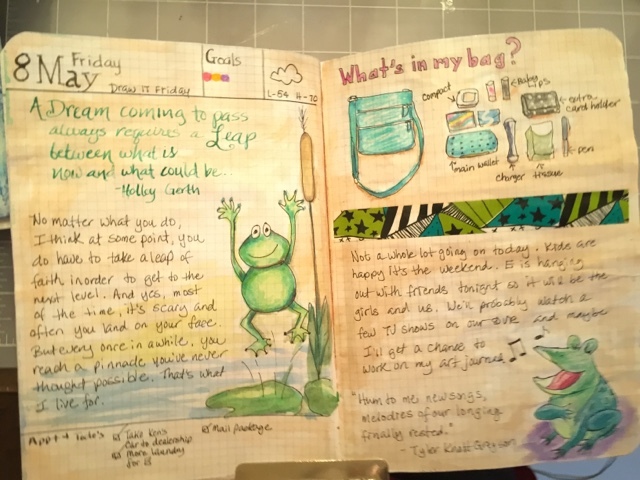 Luckily, I had purchased another journal from a fellow member of the group so I decided to give it a try. 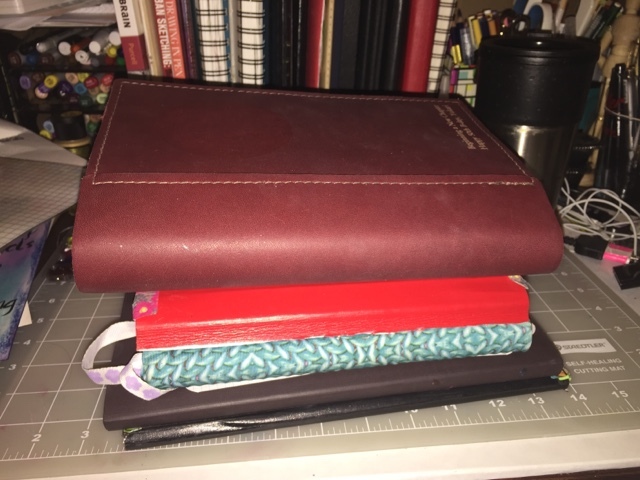 It's a Seven Seas Standard notebook with Tomoe River paper. 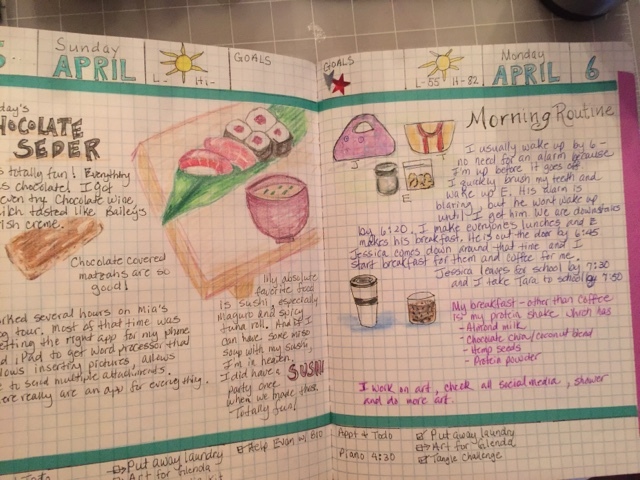 It's the same paper used in Hobonichi. There are over 400 pages, and the paper is super thin! 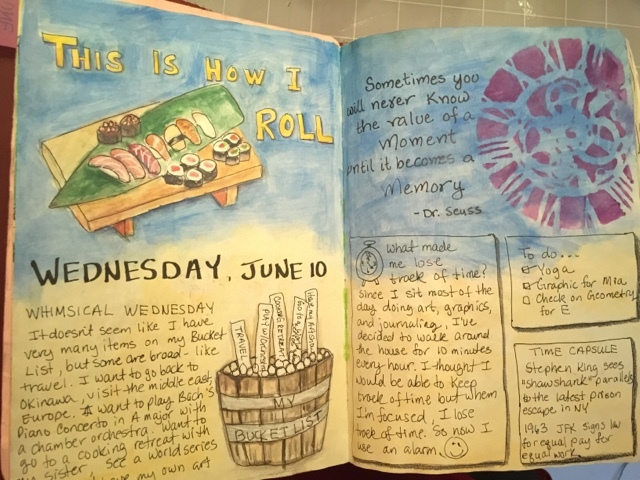 I was able to use this from June until now, doing 2 pages per day. I never had any bleed through issues with watercolor or inks. 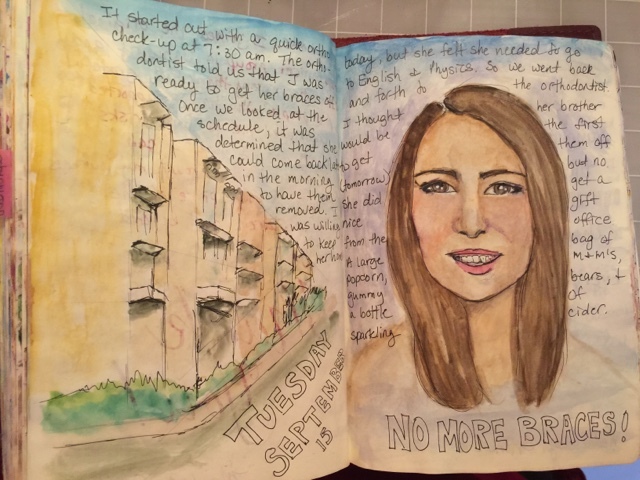 But certain markers did not do well. 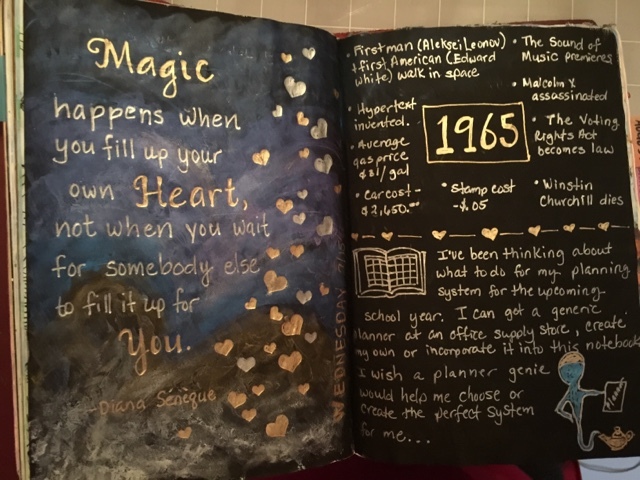 I started out using it as my planner and journal. 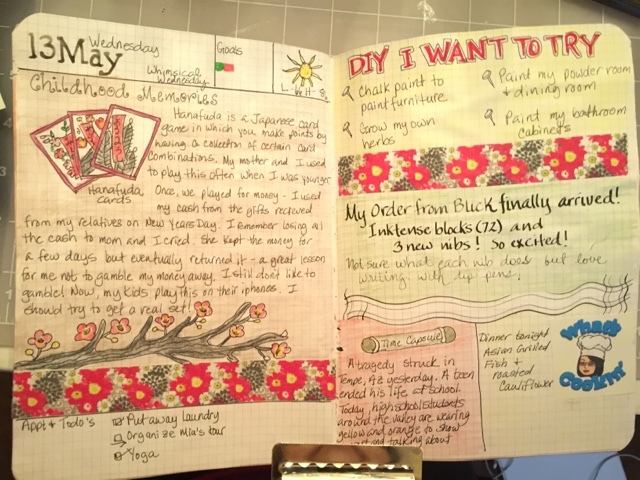 The Inktense pencils and blocks looks beautiful on this paper! And though the paper is thin, it can support tip-in's and other glued things. And I started using watercolors. And even gesso and black gesso! 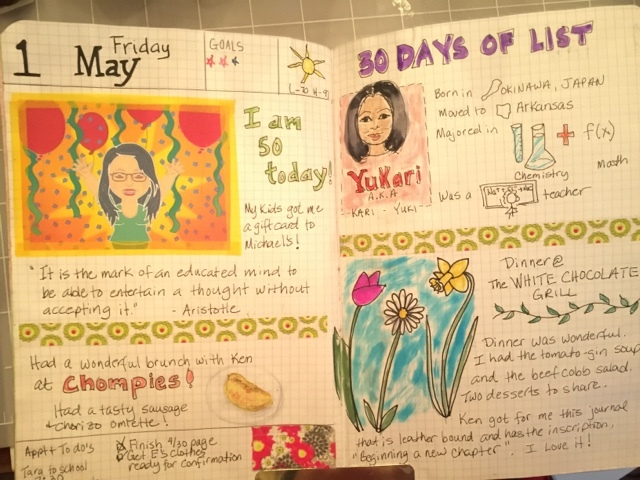 And in July, I totally reworked my blog. I bought my own domain name! 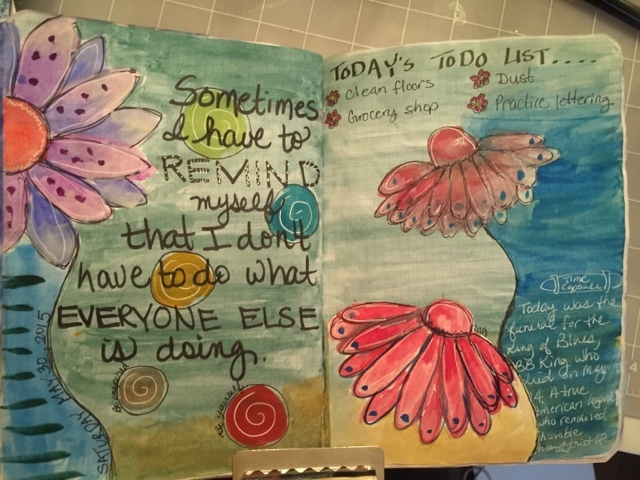 Since July, I decided to have a separate planner. During the summer, we didn't have a whole lot of scheduled events or important todo's. 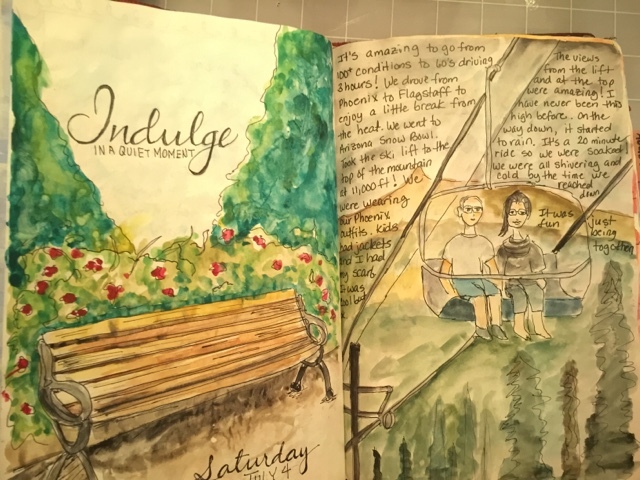 I fell in love with watercolors. 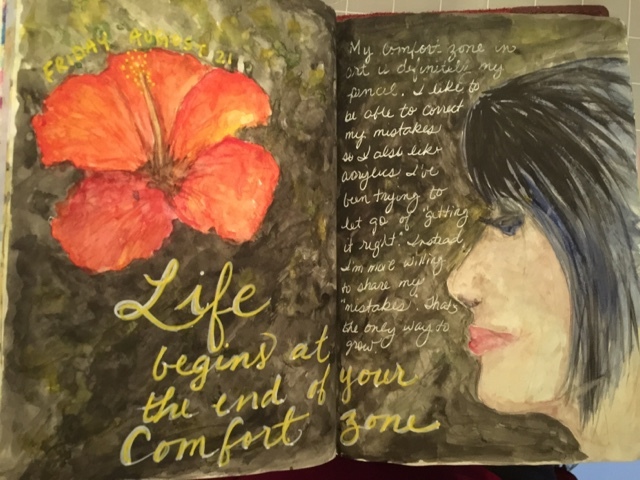 In December, I created my own art challenge. 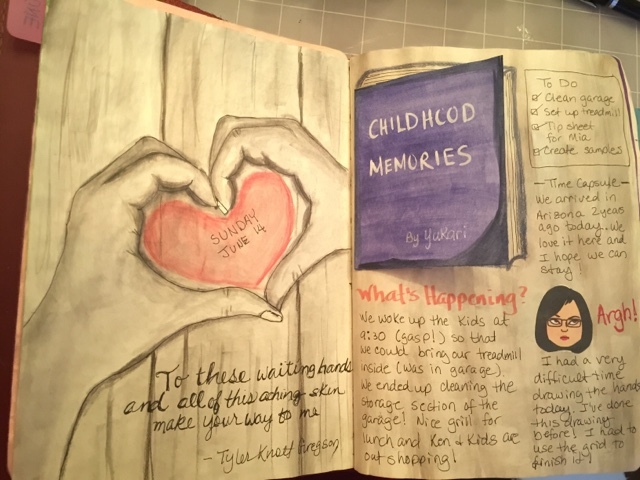 I know that you've seen most of the art pieces from my journal but not the completed pages. 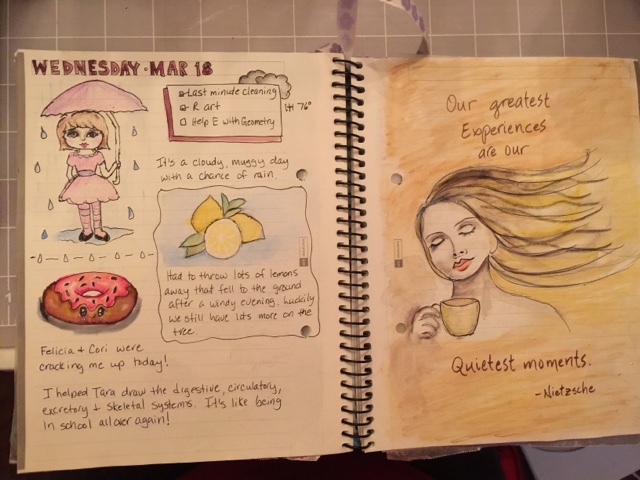 These pages will give a glimpse of how I use this process to document my days. 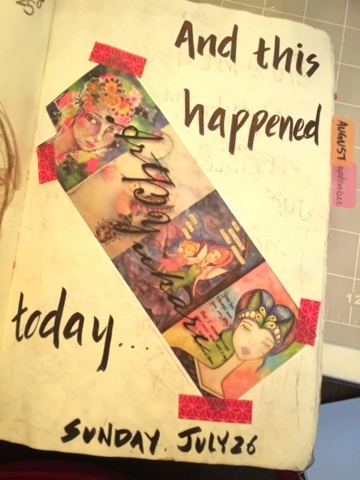 As I was selecting pages to share on this post, I enjoyed remembering the events, the emotions and thoughts I included. I have enjoyed this process immensely. 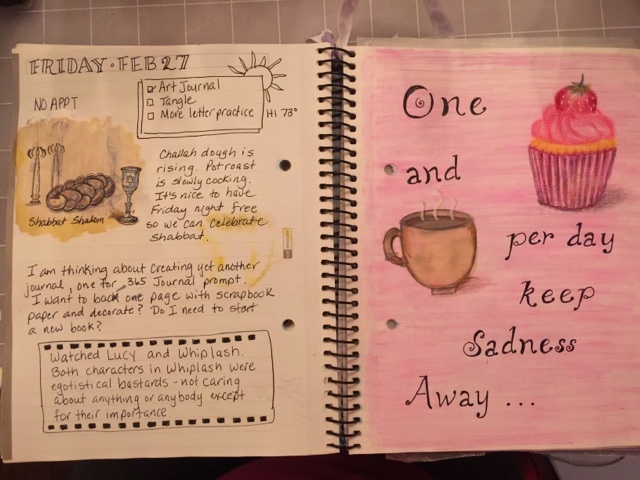 I have difficulty sharing my emotions to people and this was such a therapeutic way to brain dump. I hope you give it a try. Don't worry about the art, you can use stickers and magazine cut-outs. 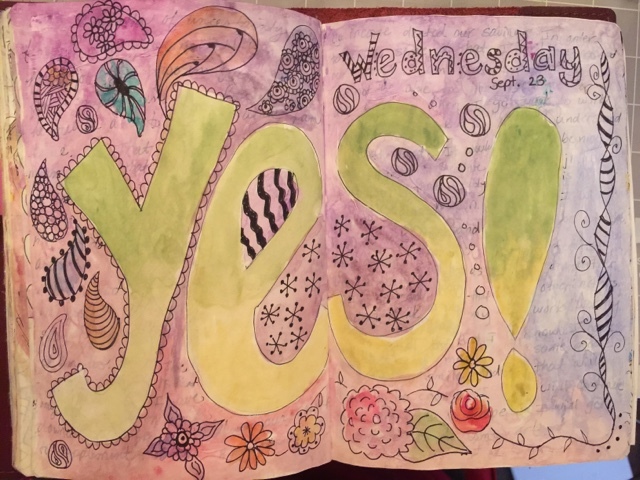 Use whatever coloring supplies you have. 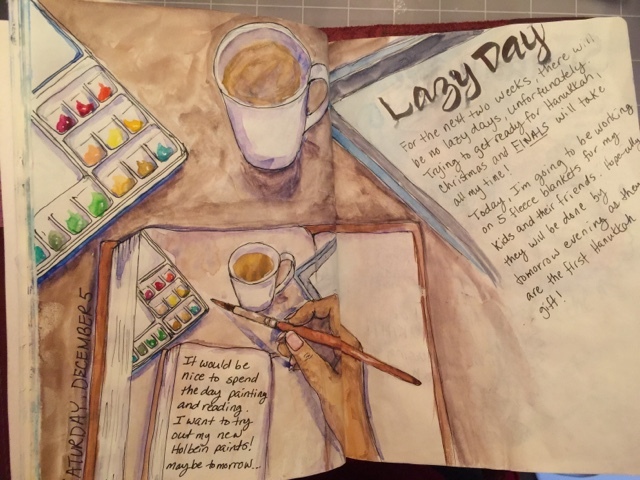 The goal is simply to document your day. I hope you'll join me. 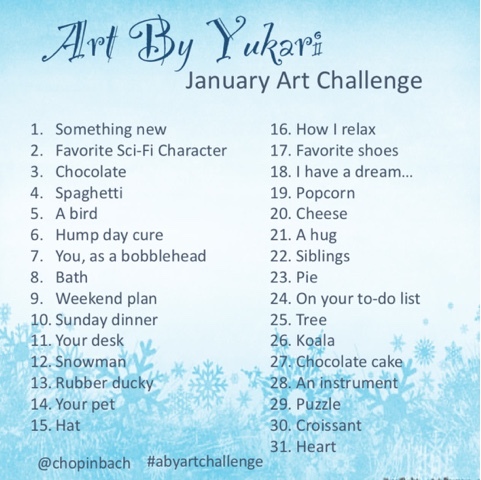 And by the way, here is the January art challenge. 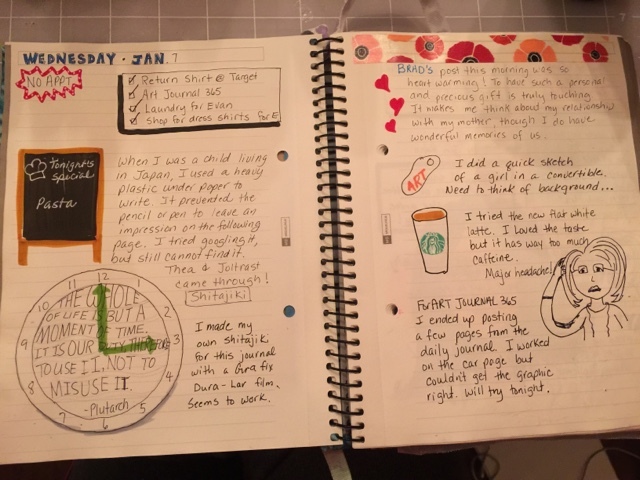 Your journals are incredible. What a great way to preserve memories from 2015, for you and your family. Happy New Year, Yukari! Happy New Year, Ann Marie! Thank you for your comment and encouragement! It means a lot! Happy New Year! 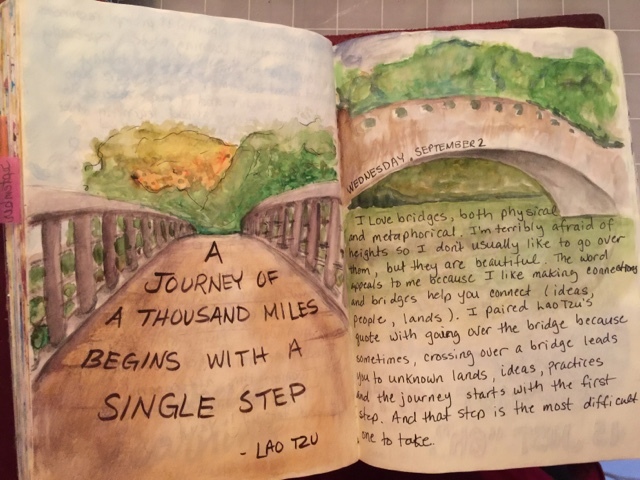 I've thoroughly enjoyed following your journal and artistic journey. Your images get more and more beautiful. Thanks, Aniko! 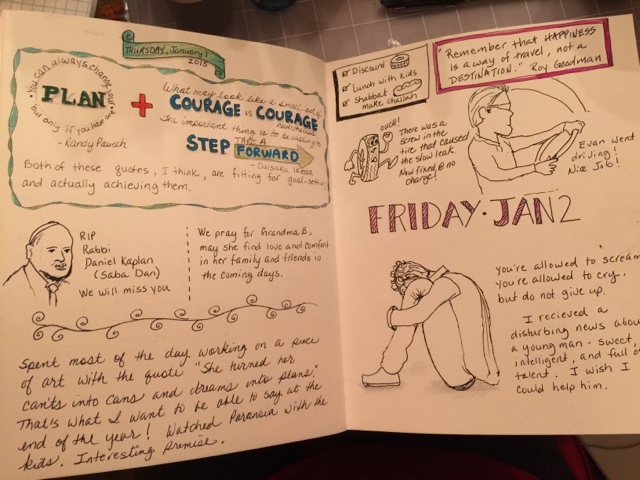 I really felt that this process help me keep my sanity this year. And I learned a lot about drawing and painting. Happy New Year! One of the best "year in review" I've ever seen. Keep it up thru the next, Angelcake.